Every morning there was something for me to look forward to, my ride in to work. The cold and fresh breeze of the freeway would pump enough oxygen to my brain to keep me active and focused. Not long ago I sold my daily ride, I am missing the sound of the engine and desperately searching the Interweb for my next ride. I haven’t decided what’s worse commuting by car and moving at a snails pace in the morning traffic, or being packed in like sardines on the train. One things for sure nothing can give me the pride, passion and independence a motorcycle can and I better find my next commuter PRONTO!! 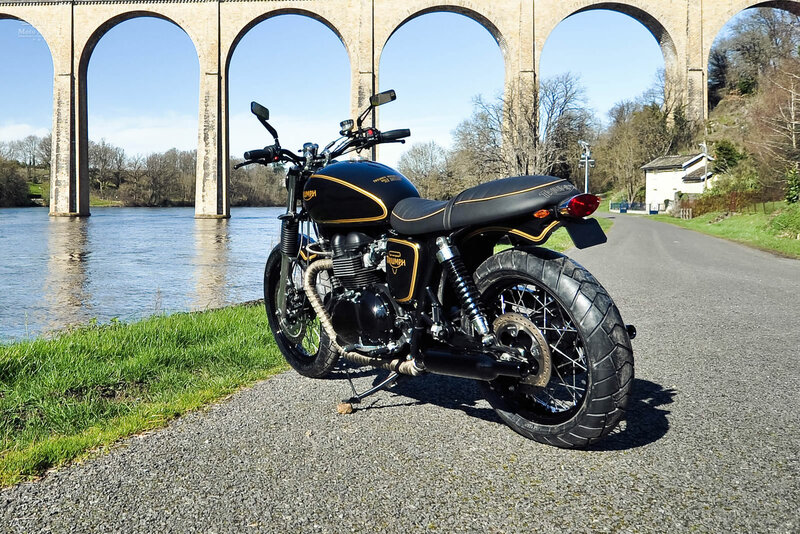 For the time being the only cure out there for me is the feature of the day, a custom Triumph Bonneville Gold Edition by FCR. 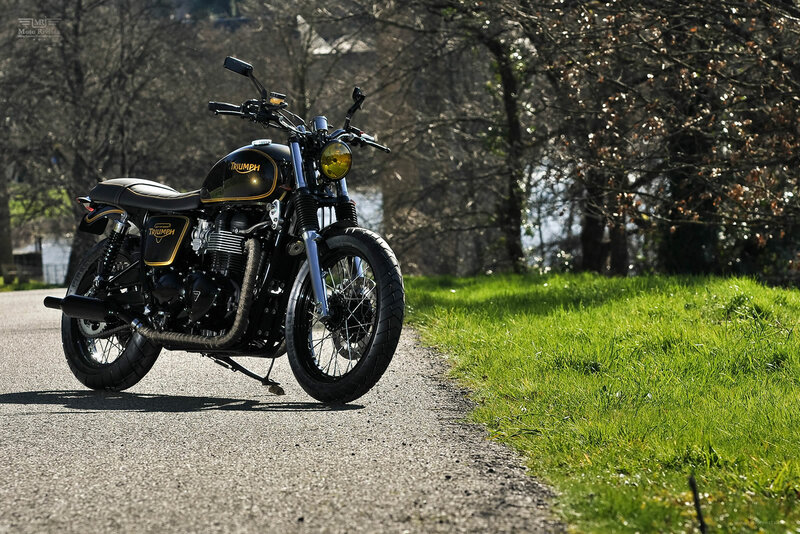 When it comes to attention and class the Triumph Bonneville has become a most demanding motorcycle amongst riders. It’s been in production for 50 years and yet it still looks, sounds and feels like a proper motorcycle should. 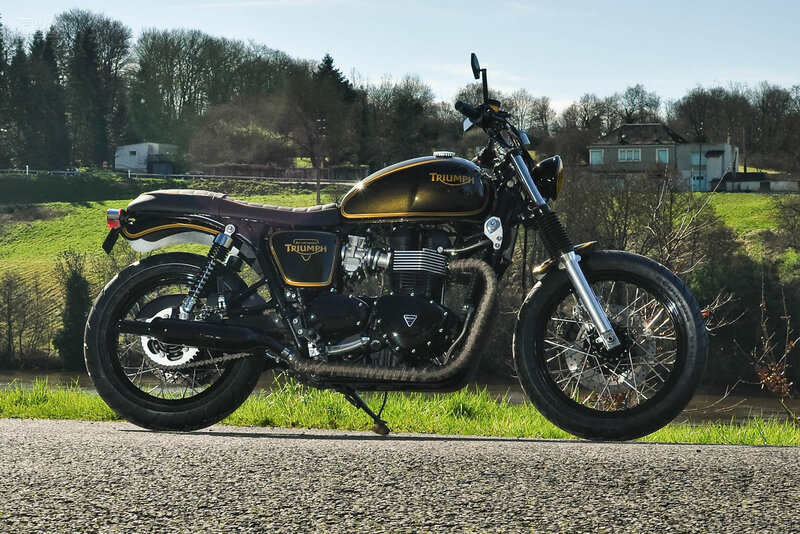 The base for this FCR build was a stock Triumph Bonneville, which has been beautifully scaled back to bring out a more fine spirited Bonneville. 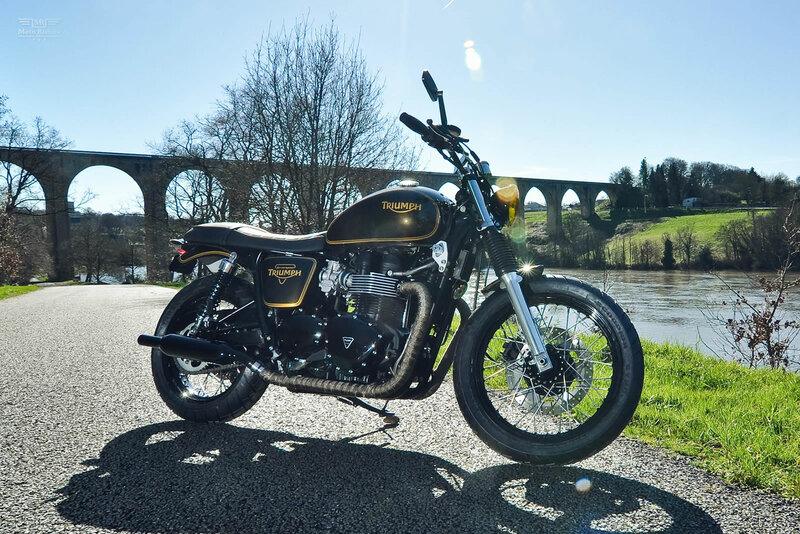 At the front this custom Triumph Bonneville Gold Edition features a small front headlight and a LSL handlebar. The front forks were polished and the stock mirrors were replaced with a custom pair. The stock saddlery was also replaced with FCR’s custom saddlery. The other modification includes a shortened front and rear fender. The hub and rim of the wheels were painted in black and wrapped in Pirelli road tires. 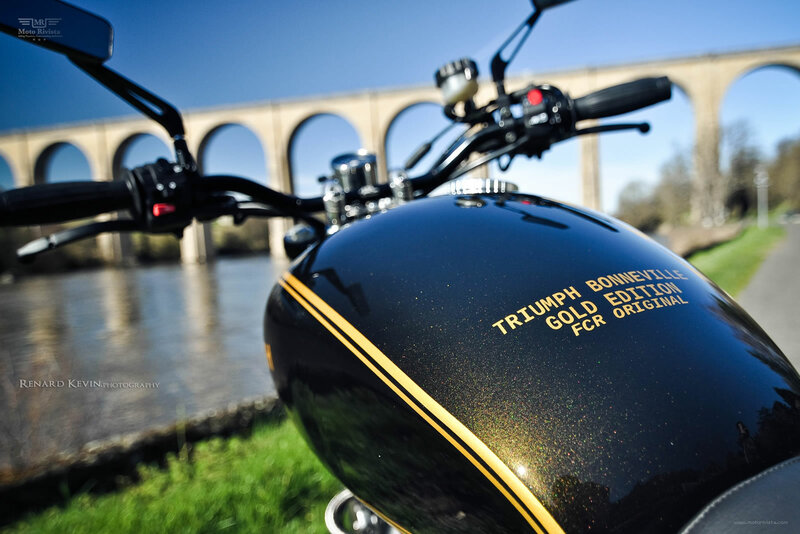 The finished Triumph Bonneville Gold Edition was painted in black with gold stripe detailing. Perfection is achieved, not when there is nothing more to add, but when there is nothing left to take away. 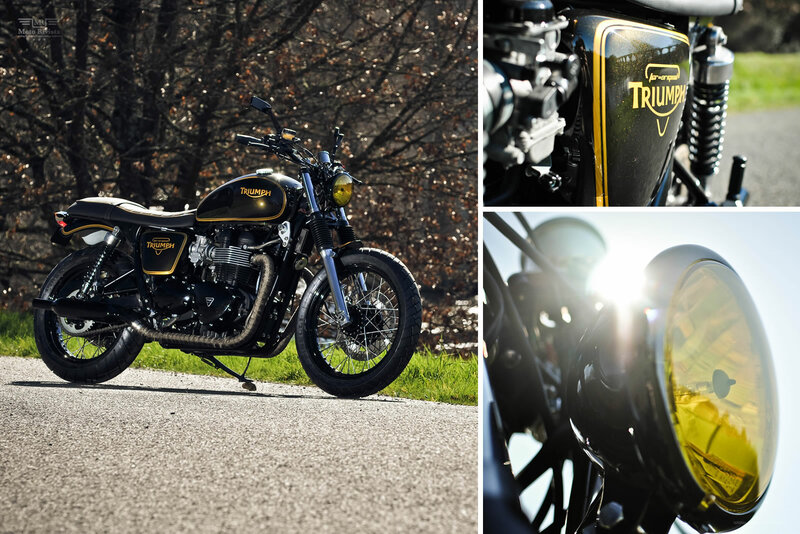 Has this custom Triumph Bonneville Gold Edition achieved that perfection?